2 hour hip hop workshops are now available with Cesa – perfect for getting your students in the swing for the EofE module. 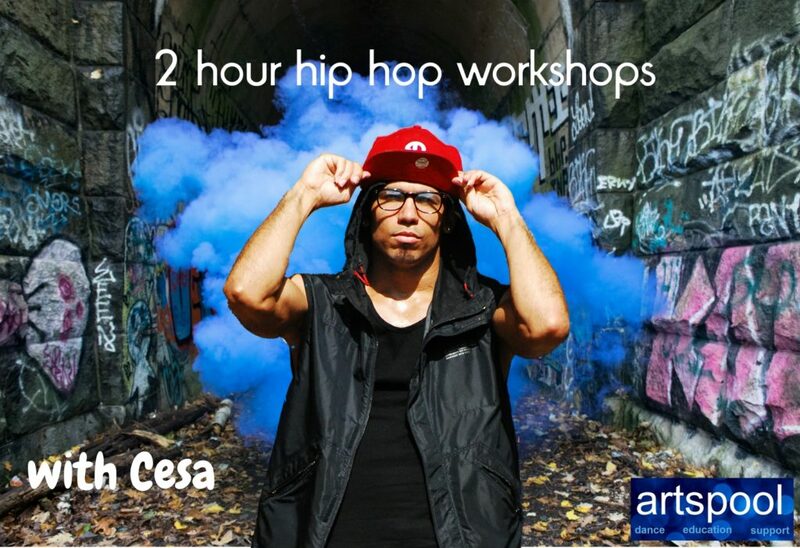 Cesa’s workshops are unique and cover a wide variety of skills and hip hop facts that are guaranteed to motivate and inspire. Born and raised in the Bronx, New York with a Latino background, Cesa has been bang in the centre of hip hop culture all of his life. Read his CV to see what we mean!